Aug8 by John M. Buol Jr. 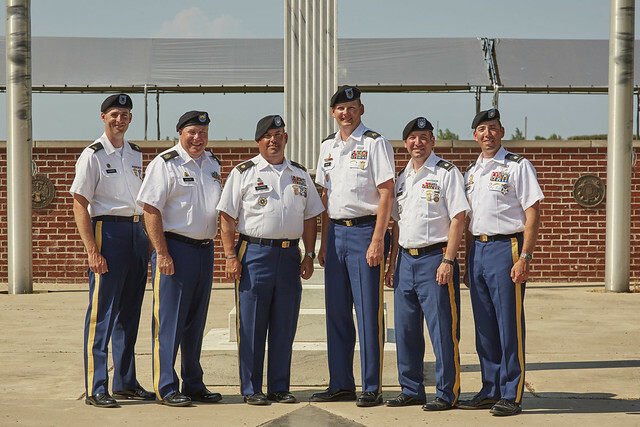 Soldiers of the U.S. Army Reserve Competition Marksmanship Program competed at the Rifle National Matches held by the Civilian Marksmanship Program at Camp Perry July 24-August 8. The National Trophy Infantry Team Match (NTIT) is a National Trophy Rifle Match that was first fired in 1922. The NTIT is sometimes called the “rattle battle” because it emphasizes extremely fast, accurate fire. It is also an exciting competition for spectators to watch. A team with six shooters and two coaches/team leaders begin with 384 rounds to allocate among team members. Beginning at 600 yards, shooters must distribute their fire so that, if possible, all eight targets receive at least six hits in 50 seconds. Firing continues at 500, then 300, and 200 until all ammunition is expended. E-type silhouettes are used at the longer ranges and F-type “dog” silhouettes are used at the shorter ranges. Hits at 600 yards count four points, at 500 yards, three points, at 300 yards, two points and at 200 yards, one point, plus each team receives a bonus at each yard line equal to the square of the number of targets with six or more hits. 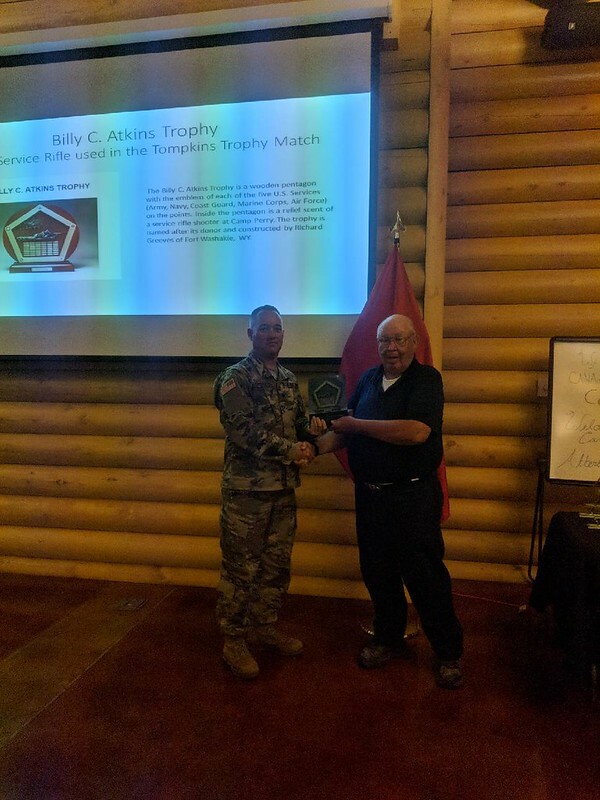 USARCMP took first place and were the 2018 National Trophy Infantry Team Match Champions. 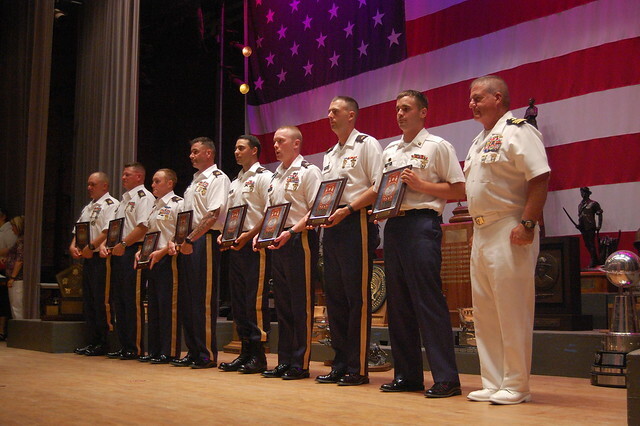 This is the first time since 1992 that the U.S. Army Reserve has won this match. 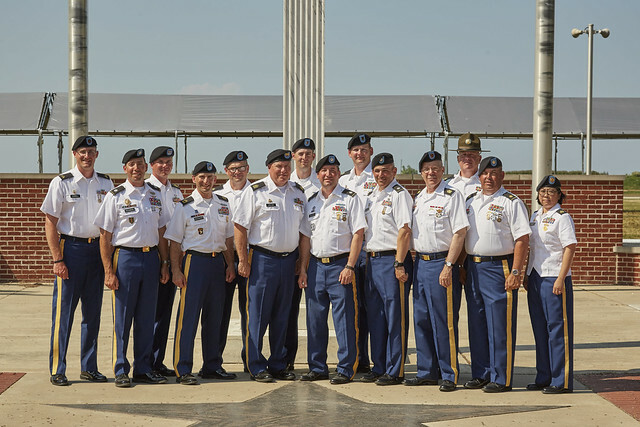 The USARCMP also broke the Celtic Chieftain Trophy record for high Reserve Component Team which stood since 1985. 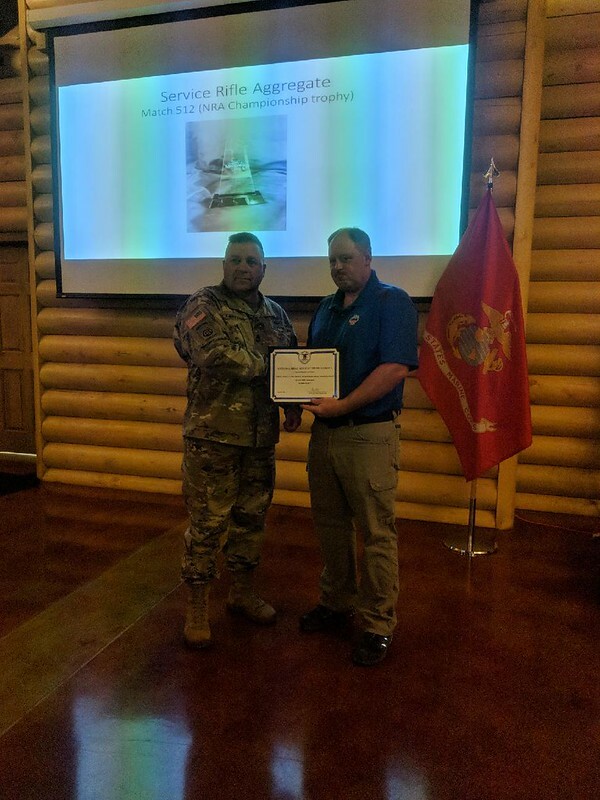 Chris Gervasio of ARCD and the USARCMP was promoted to Master Sergeant by COL Baer and SFC Arcularius on Rodriquez range during the National Matches. 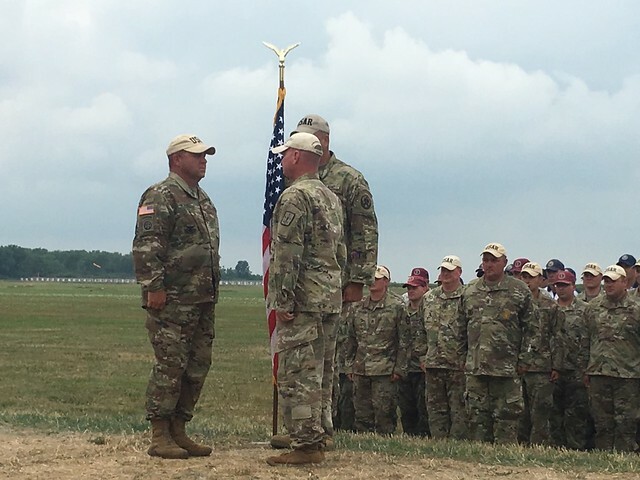 CW3 Hayes of the 335th Signal Command (Theater) and USARCMP during Presentation of Colors prior to shooting the day's match. 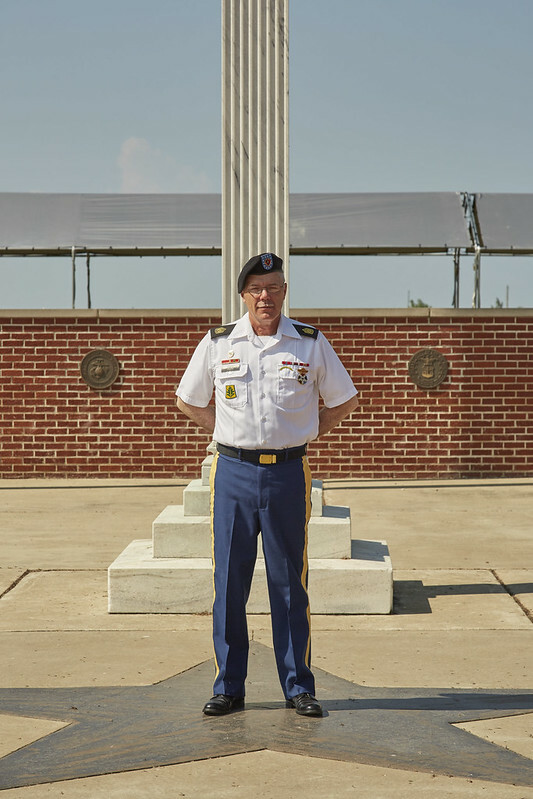 Jul19 by John M. Buol Jr.
Members of the United States Army Reserve Competitive Marksmanship Program (USARCMP) competed at the NRA National Rifle Championships on 6-11 July 2018 held at Camp Atterbury, Indiana. 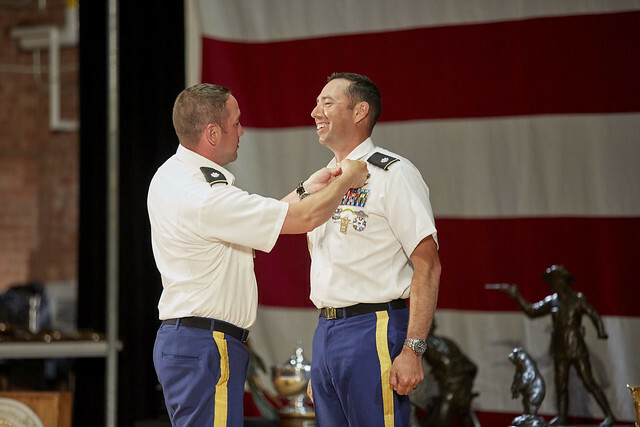 The USARCMP competes and often wins national-level competitions as a way to build and validate shooter-instructor proficiency. 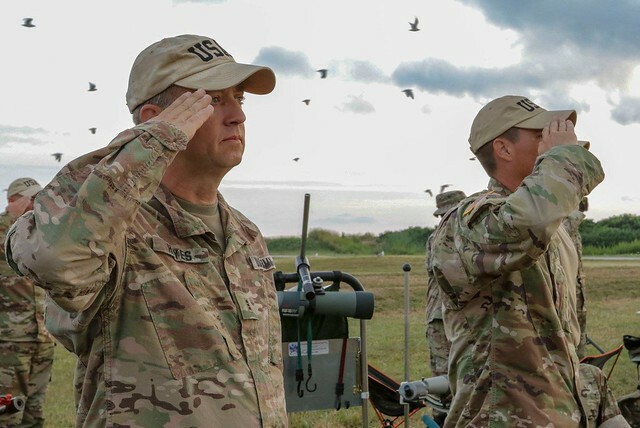 Much like continuing education, such as the Noncommissioned Officer Professional Development System, skill-at-arms beyond routine qualification levels demands on-going training and competitive events are a way to develop marksmanship capabilities and demonstrate marksmanship proficiency. 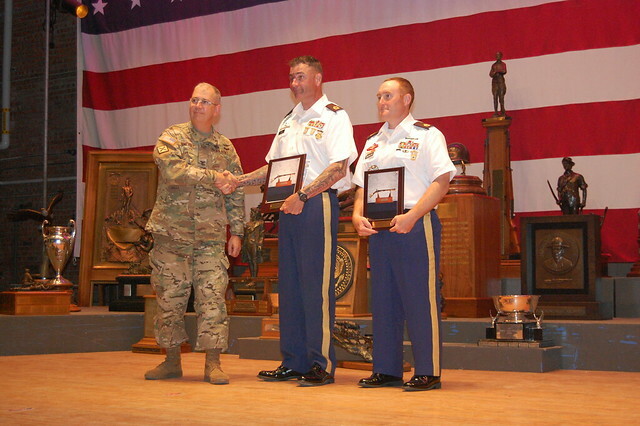 SPC Lowe won the Crescent Cup Trophy and High Reserve award. 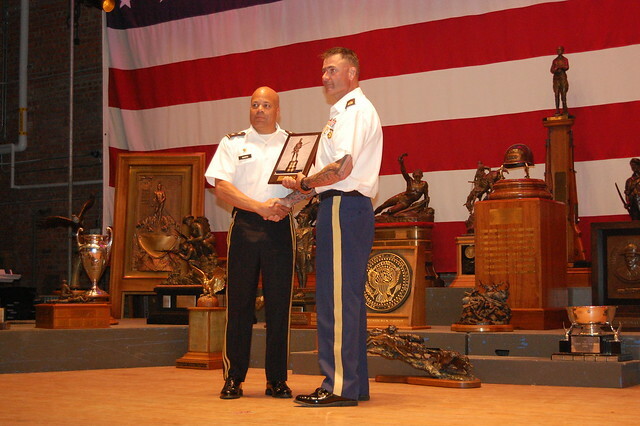 The Scott Trophy, awarded for high score 200 yards during sitting rapid fire, was won by SGT Morris. 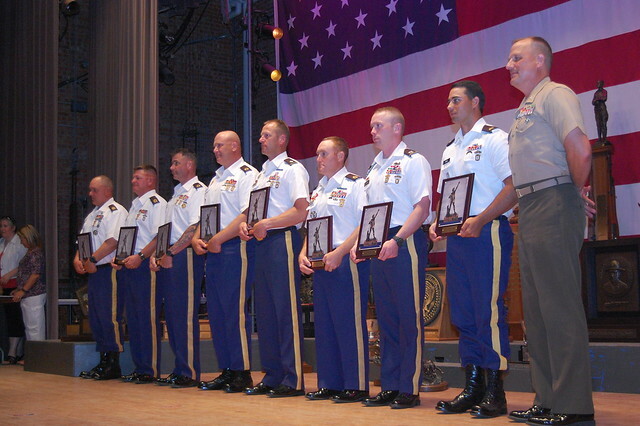 USARCMP won the Enlisted Men’s National Trophy. Team Captain SGM Mauer and Team Coach SFC Arcularius led firing members SGT Morris, SFC (P) Gervasio, SPC Stephens, SPC Lowe to victory. 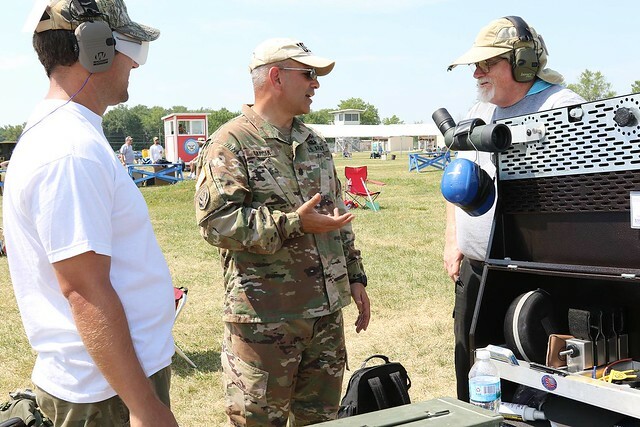 Members of the United States Army Reserve Competitive Marksmanship Program (USARCMP) competed in the NRA National High Power Rifle Long Range Championships held 12-17 July 2018 at Camp Atterbury, Indiana. 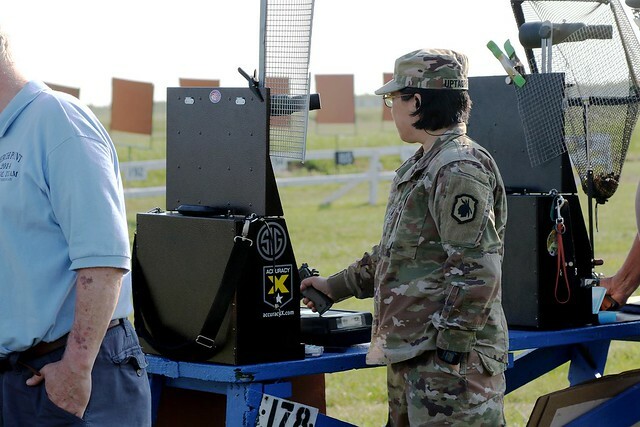 USARCMP competes in and often wins National-level competition to develop the skills of Army Reserve shooter-instructors, validate marksmanship capabilities, and demonstrate marksmanship proficiency. 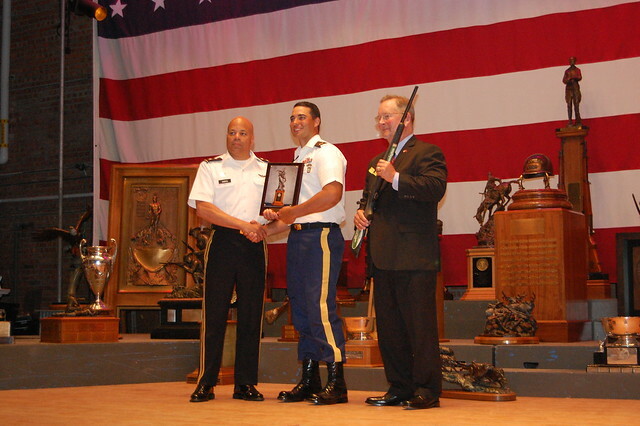 SPC Stephens won the Billy C. Atkins trophy, the Service Rifle long-range aggregate. 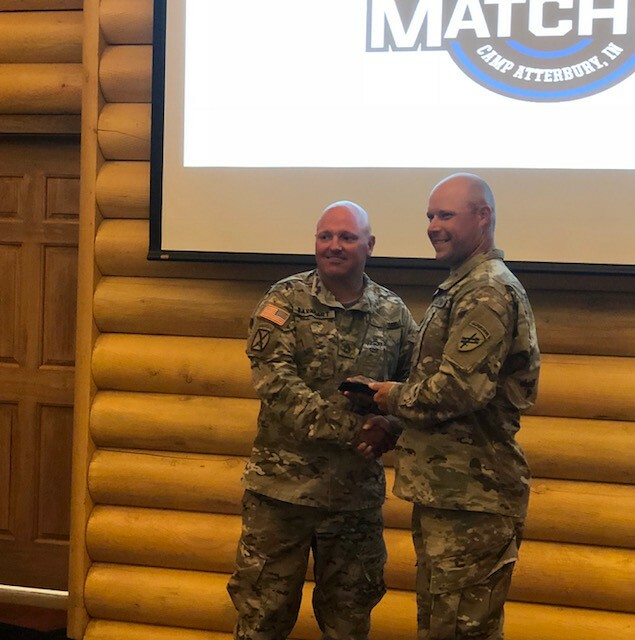 SPC Stephens also won the Porter Trophy for taking first place with a Service Rifle during Match 535 and the Farr Trophy for taking first place in Match 538 with a Service Rifle. 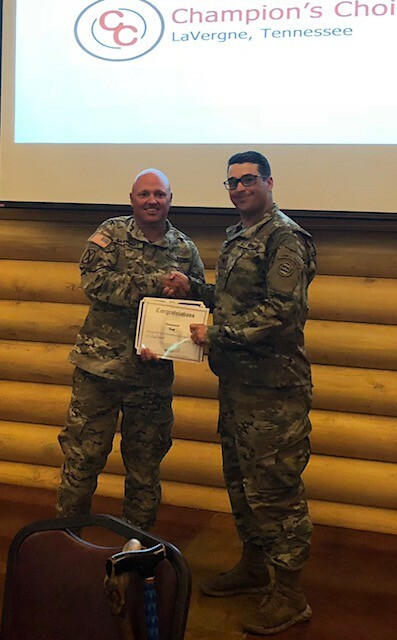 SFC Gervasio (P) took third place in the overall individual aggregate. Roumanian Trophy Team Match is a four-person team event. USARCMP took first place. Firing members were SFC (P) Gervasio, SFC Micholick, SGM Withus, and SPC Stephens with Coach SGM Mauer and Team Captain SSG Morris. 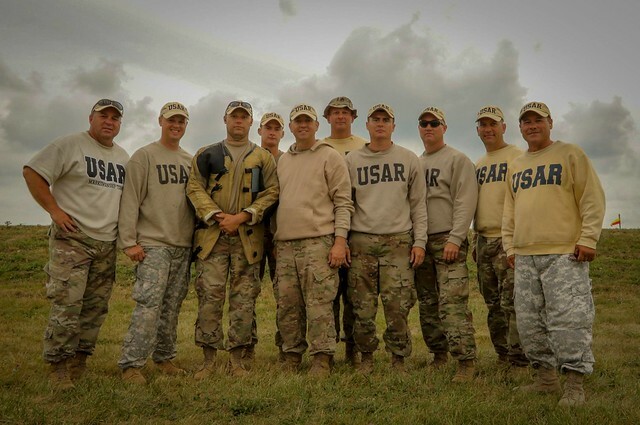 USARCMP also won the Herrick Trophy Team Match, another four-person team event. 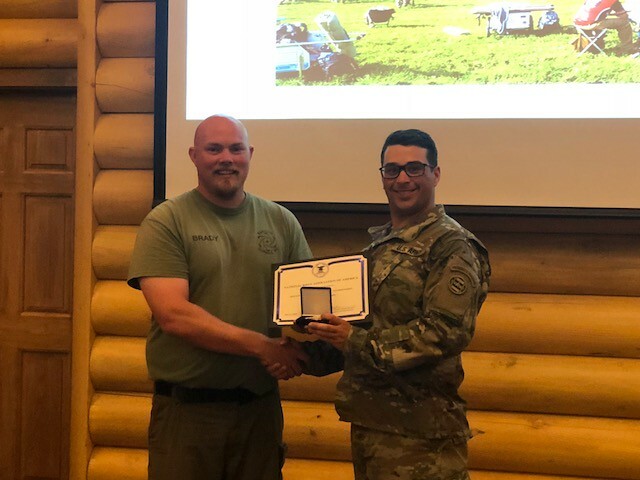 Firing members were SFC (P) Gervasio, SFC Micholick, SGM Withus, and SPC Stephens with Coach SGM Mauer and Team Captain SSG Morris. 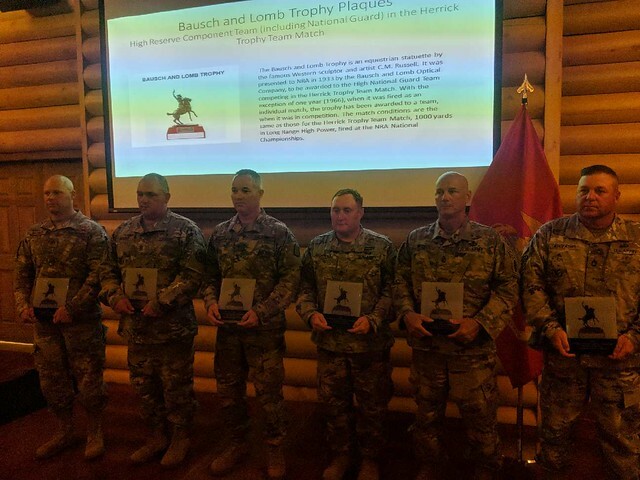 Bausch and Lomb Trophy is awarded to the High Reserve team for long-range team matches. 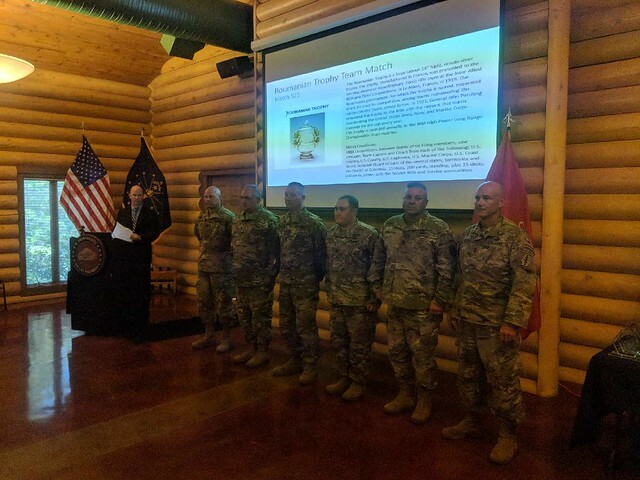 USARCMP took first. 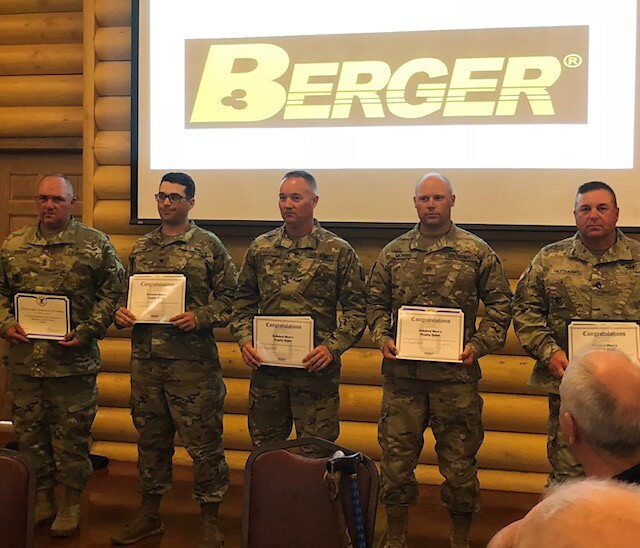 Firing members were SFC (P) Gervasio, SFC Micholick, SGM Withus, and SPC Stephens with Coach SGM Mauer and Team Captain SSG Morris. Bausch and Lomb Trophy team. 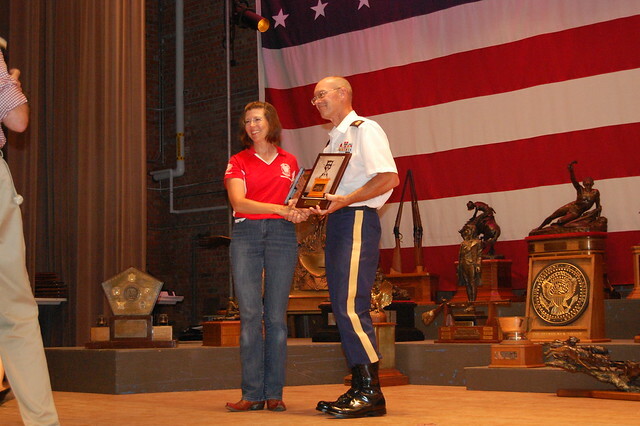 USARCMP also won the Herrick and Roumanian Trophies. Jul30 by John M. Buol Jr.